Humanity has ebbed and flowed along the Silk Road for centuries, leaving layers of intrigue in its wake. Uzbekistan is Central Asia's crowning glory, where stirring remnants of long-vanished empires pepper the land. 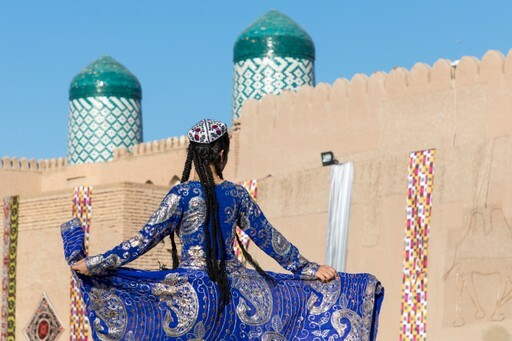 World class architectural gems jostle shoulder to shoulder in the timeworn Silk Road staging posts of Samarkand, Bukhara and Khiva, transporting you back to the days of camel caravans and mercantile journeys across the desert. Marvel at ancient monuments topped with azure domes and at the hypnotic patterns of the ubiquitous ceramic art which adorns monuments all over the country. 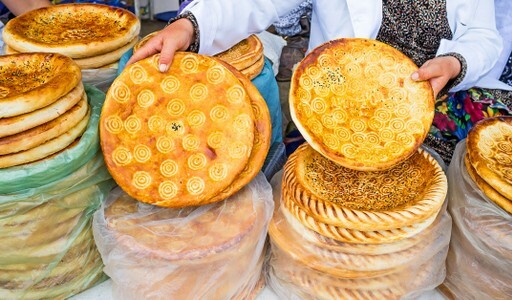 Delve into vibrant bazaars, enjoy delicious meals and bask in the warmth of the Uzbek welcome. There are many wonderful experiences to be had in this country laden with history and culture. 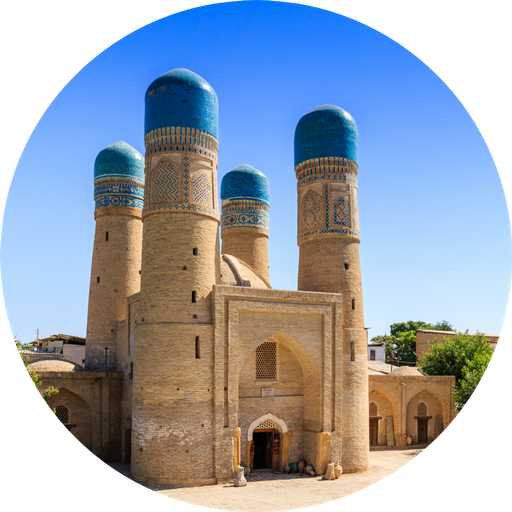 For further inspiration take a look at the trip ideas put together by our trusted local experts at the foot of this page, but in the meantime here are our top three things to do in Uzbekistan. ‘Jewel of the East’ and ‘Garden of the soul’ are just two of the accolades Samarkand has earned over the centuries. The imposing Registan Square beckons, its jewel coloured tiles glinting in the sunlight. The sumptuously decorated facades of the madrassas are amongst the finest examples of Islamic architecture in the world, and they have graced the city with their elegant shapes and stunning colours for hundreds of years. Come at the beginning or end of the day for the best light for photos and an authentic sense of history. Learn about Uzbekistan’s artisan crafts, visit workshops and see craftsmen in action. Pottery, calligraphy, weaving, carving and embroidery are some of the most prominent crafts you will come across. Musical performances and dance have a long history in Uzbek culture, and tell traditional tales. Above all, prepare to be bowled over by the Uzbek hospitality – every Uzbek family will welcome you with copious non (bread) and ko’k choy (green tea). Centuries of trade have seen cultures from various corners of the world collide in this crossroads nation. Consequently the Uzbek cuisine is very eclectic, taking influences from Persia, India, Arabia, China and Russia. You can’t spend much time here without trying plov, the national dish consisting of spiced rice, meat and vegetables which varies from region to region. Patterned bread is another staple, while other classic dishes include kebabs and savoury pastries. When should I visit Uzbekistan? Spring and Autumn are climatically the best times to visit, while June and September are hotter but manageable, and July and August are sizzling with temperatures into the forties. November to March is a very quiet time for visitors, though the weather is generally quite mild in winter. For low season rates and crowd-free photography, consider January or February. 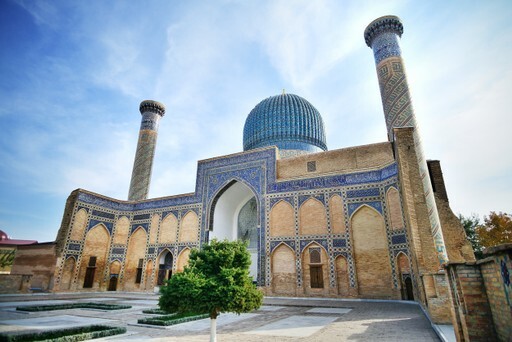 Create your bespoke holiday to Uzbekistan!